John P. Norris, M.D., is board certified in obstetrics and gynecology with over 30 years of experience. Since beginning his private practice in 1986, Dr. Norris has delivered over 6,000 babies (95 percent of which have been his own patients). He takes a conservative approach to medicine, and his training and interests lie in high-risk obstetrics, minimally invasive pelvic surgery, vaginal surgery, and laparoscopic procedures. A Johnson County native, Dr. Norris puts a high value on open communication with his patients, especially during times of emergency. 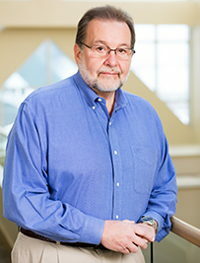 In addition, Dr. Norris serves on the Johnson Memorial Hospital Foundation Board of Directors. To request an appointment with Dr. Norris, visit Johnson Memorial Women's Health Specialists. For appointments in Whiteland, call (317) 530-3111.